With Rogue One: A Star Wars Story opening in North American theaters tonight (let us know what you thought! ), journalist Lizo Mzimba asked Lucasfilm‘s Kathleen Kennedy about the next two films in the franchise, Star Wars: Episode VIII and the untitled Han Solo movie. Kennedy says they start shooting the Han Solo film in February. 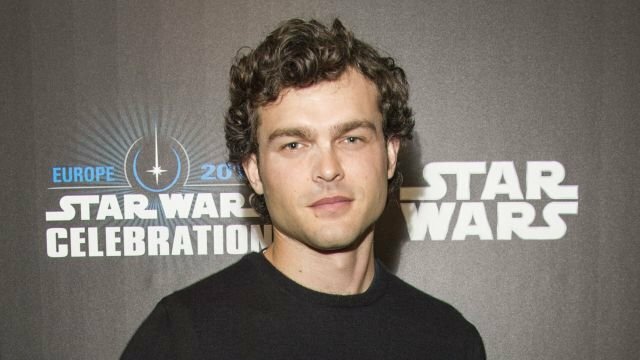 The standalone movie will star Alden Ehrenreich in the title role, Donald Glover as Lando Calrissian, and Emilia Clarke in an unknown role. The screenplay for the Han Solo film is written by Lawrence Kasdan and Jon Kasdan and will focus on how young Han Solo became the smuggler, thief, and scoundrel whom Luke Skywalker and Obi-Wan Kenobi first encountered in the cantina at Mos Eisley. Chewbacca will also be a featured character in the film, coming to theaters on May 25, 2018. The Han Solo film will be directed by Phil Lord and Chris Miller. But first coming to theaters is Episode VIII. on December 15, 2017. We thought we might get a teaser with Rogue One, but Kennedy says that they want to give the new movie some breathing room. “Probably heading into spring you’ll start to see things,” she said. Star Wars Celebration just happens to take place in early spring in Orlando — from April 13 – 17 to be exact — or could we get a teaser even earlier when Disney’s Beauty and the Beast opens on March 17, 2017? Are you looking forward to the Han Solo film? Can you wait a little bit longer on Episode VIII details? Let us know your thoughts in the comments.